Untreated beech wood balls. Manufactured in all diameters and with special bores. By order we paint them in colours and engrave numbers or letters for games and draws, consult prices if interested. Contact us if you don't find the diameter you need. Wooden ball diameter 60 mm. without drill . 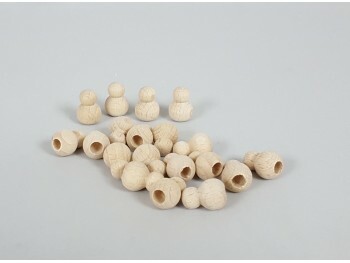 Wooden balls 70 mm diameter . Sold in units. Wooden balls Ø 80 mm. 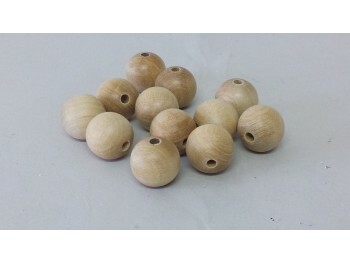 80 mm diameter beech wood balls. They are sold by units. Wooden balls Ø 90 mm. 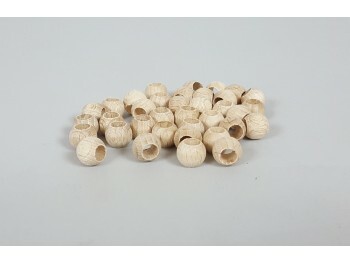 Beech wood balls with a diameter of 90 mm. They are sold by units. Wooden ball 100 mm diameter Sold in units. Wooden balls for table football Ø 33 mm. Ø 20 mm ball. c / drill p. 4.5 mm. / 100 pcs. 60 mm. wooden ball c/T.D. 30 x 45 mm. 60 mm diameter wooden ball. 30 mm diameter no through-bore x 45 mm depth. Latch small form of fortune, manufactured in beech wood with drill not through 5 mm. Measure of length 1,5 cm. X 1 cm. diameter They are sold in bags of 50 units. , The price indicated is per complete bag. 35 mm. wooden ball c/T.D. 10 x 20 mm. / 100 units. 35 mm diameter wooden ball. 10 mm diameter through-bore x 20 mm depth. Sold in 100 unit bags. OFFER WHILST STOCKS LAST. Ball Ø10 mm. c / p.6 mm./100 drill units. 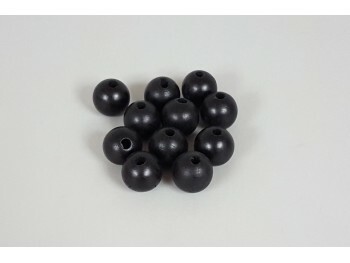 Guatambu 18 mm balls. with drill / 100 units. Wooden balls dyed in various colors to choose from. Diameter 20 mm. and they have a 3mm through hole. Bordeaux ball Ø25 mm. without drill / 100 pcs. Wooden ball diameter 25 mm. without drill painted in burgundy color. Price offer until stocks are exhausted The indicated price is 100 units bag. 16 mm wooden balls lacquered green and red / 100 units. 16 mm diameter wooden ball painted in green or red. Sold in 100 unit bags. OFFER WHILST STOCKS LAST. Red Ball Ø 25 mm. c / drill p. 6 mm. / 100 pcs. Wooden ball diameter 25 mm. with through-hole 6 mm. painted red Price offer until stocks are exhausted The indicated price is 100 units bag. Black Ball Ø25 mm. c / drill p. 6 mm. / 100 pcs. Wooden ball diameter 25 mm. with through-hole 6 mm. painted in black color. Price offer until stocks are exhausted The indicated price is 100 units bag. Simple radiator ball in beech Wood 30 mm diameter with 2 pegs. Radiator double ball in beech Wood 30 mm diameter with 2 pegs.